At IBC 2018, Sony (stand 13.A10) is unveiling four new live production system cameras, further expanding and evolving the Sony HDC family well-acclaimed by broadcasters and media companies across the globe. The next generation of system cameras (HDC-P50, HDC-3500) feature the world’s first 2/3-inch 4K global shutter three CMOS sensor system, and a newly developed HD HDR optical block (HDC-3100/HDC-3170). 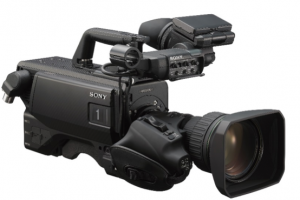 The new cameras offer content creators unprecedented flexibility and reliability, in addition to the uncompromised, premium 4K/HD HDR picture quality they have come to expect from Sony solutions. 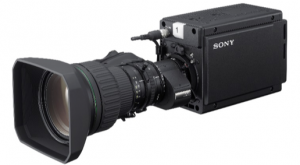 The portable system camera HDC-3500 expands on the capabilities of the current HDC-2000 series with the addition of a new 2/3-inch 4K global shutter three CMOS sensor system. The HDC-3500 offers high modulation of depth for HD & 4K production as well as wider dynamic range. The system camera supports HD, HDR, and 4K, as well as IP capabilities. The HDC-3500 has exchangeable transmission side panel. Users can choose any of Sony’s three optional side panels, depending on their operational needs — Triax, Fiber, or wireless transmission, which can easily be switched using Sony’s unique and simple side panel interface. The new CCU HDCU-3170 is compatible with the new 3rd generation digital Triax system cameras and can be fitted with already-available option boards for HDCU-3100 (Fiber). The CCU supports various interfaces such as 3G-SDI and SMPTE ST2110, and capable of providing outputs of HD, HDR1, and SDR. The HDCU-3170 is recommended for Triax users, but can also host an extra Fiber interface (SMPTE1 or Single Mode1). It will greatly benefit production companies doing live production in different venues requiring different transmission systems. All HDC-3000 series will be available from October 2018, while the HDC-P50 POV system camera will be available from February 2019.